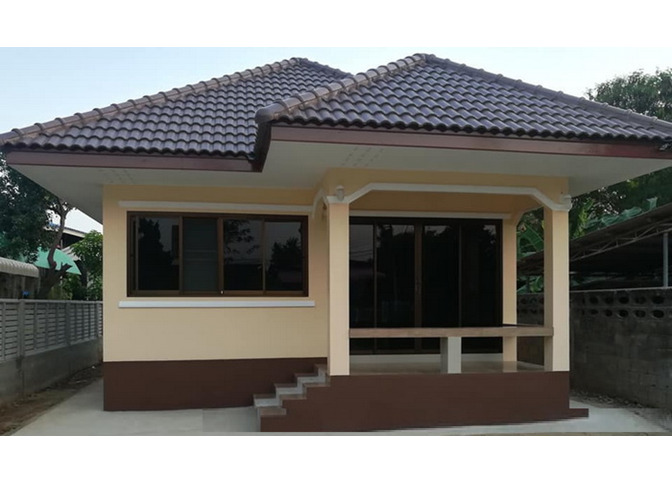 When you want to have a house but have a limited budget, a small house is your best choice. First, you don’t need to buy a large plot which effectively reduces the cost. Small areas are enough to build your dream house. But the small size does not necessarily mean your house should not be charming or lovely. 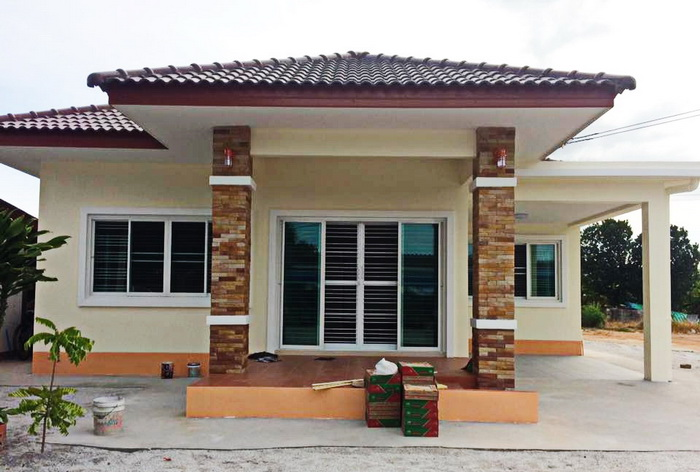 Aside from saving on building materials, a small house has the benefit of being easy to decorate, modify and maintain. It also makes the family closer together. Today we recommend 10 small houses where each design and style is different, to inspire you in designing your home. 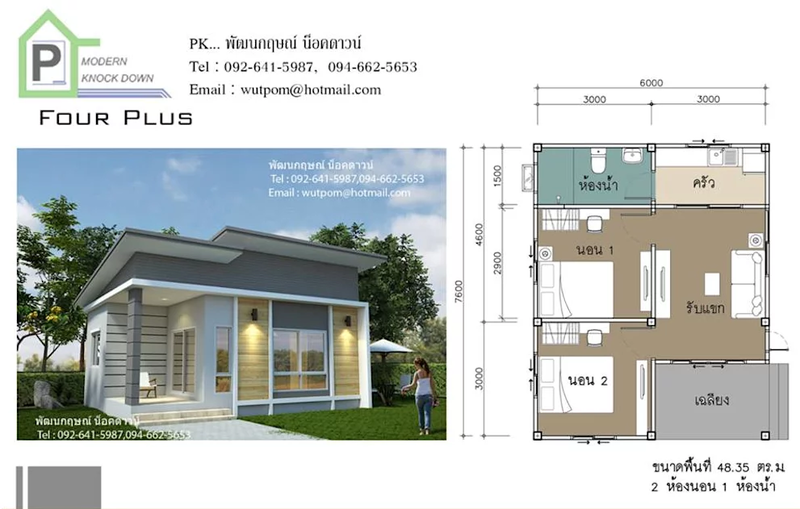 The interior area is divided into one bedroom, one kitchen and one bathroom, suitable for singles or beginners to have a home. 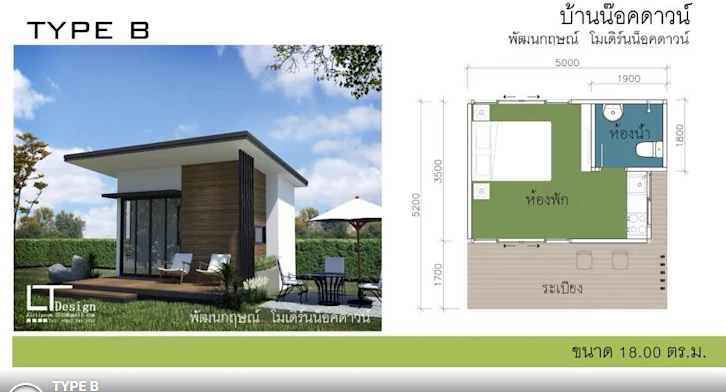 The price of this house is 380,000 Baht or 11,500 USD. 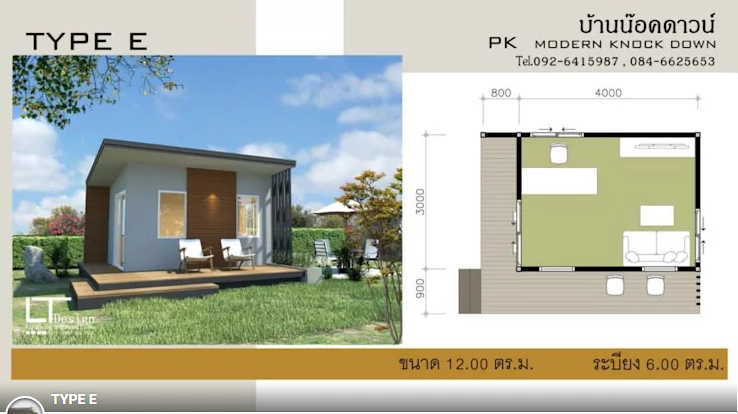 The total area of this house is 35.8 square meters. This house is a modern style. A total area of 12 square meters. The area is separated into one room, can be transformed into a small coffee shop, or make a separate dining room to work. The price 250,000 Baht or 7,500 US Dollars. This house has 18 square meters area. 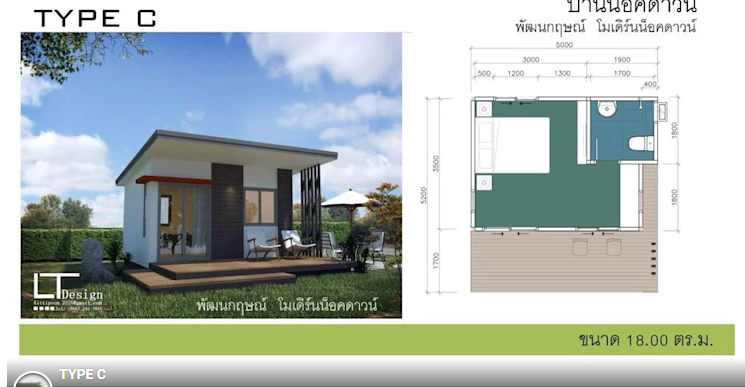 The living area is separated into one room with 1 bathroom can be converted into suit the needs of homeowners. The rice is 280,000 Baht or 8,400 US Dollars. The house size is 18 square meters. 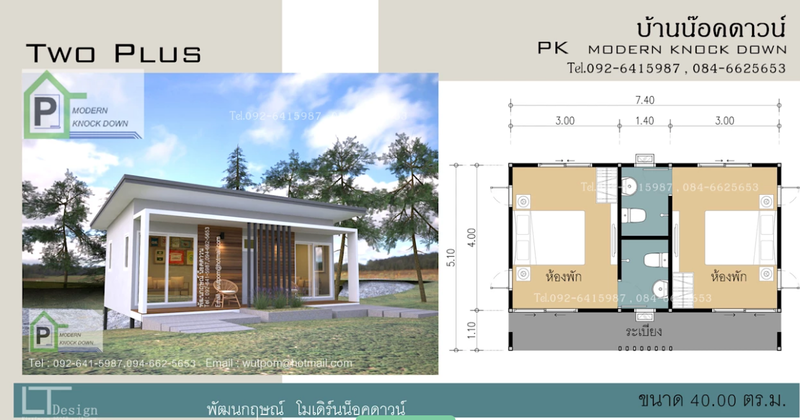 The interior of this house consists of 1 bedroom and one bathroom with a terrace can be transformed into an office. 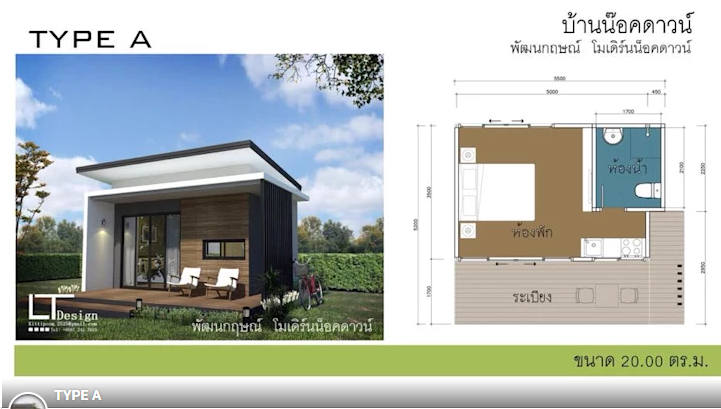 The price of this house is 280,000 Baht or 8,400 US Dollars. The house is equipped with electricity, water supply, sanitary ware. The living area consists of one room, one bathroom with a terrace. 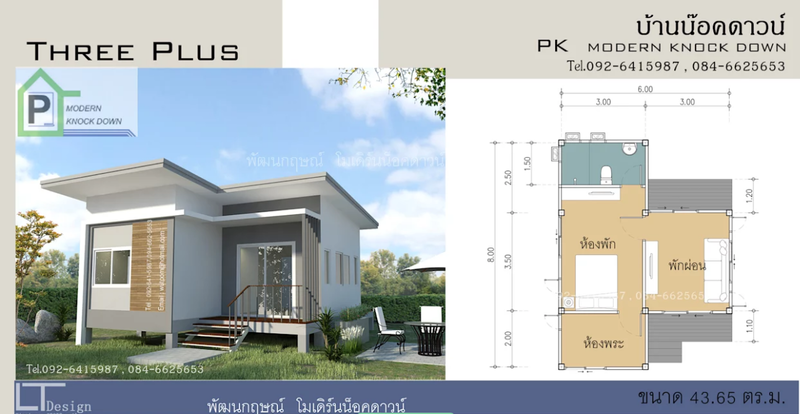 The price of this house is 300,000 Baht or 9,000 US Dollars and the size of the house is 20 square meters. A beautiful modern style home. It can be a small office or a private family room. 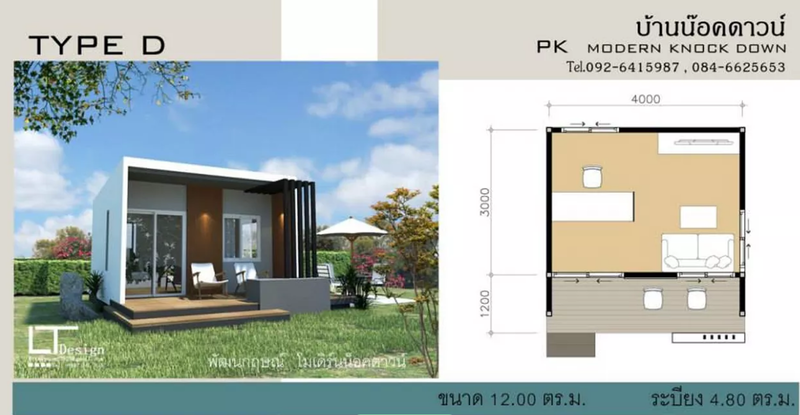 It consists of one bedroom and has a terrace with the price of 240,000 Baht or 7,200 US Dollars. The home is perfectly suited for small families. It consists of one room, one living room with a terrace. 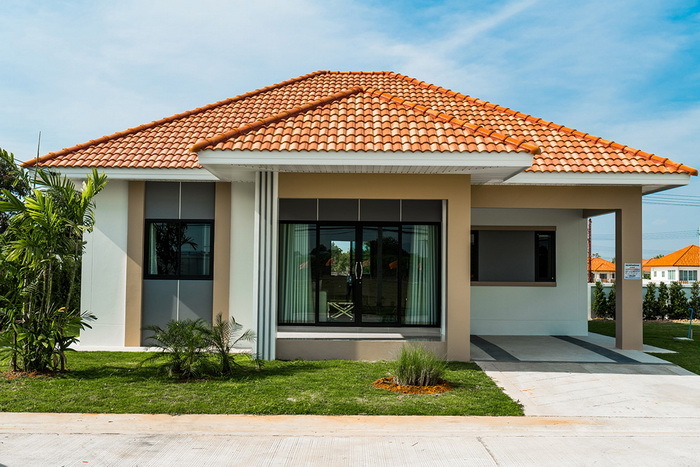 The price of this house is 500,000 Baht or 15,000 US Dollars. Price is 590,000 Baht or 17,700 US Dollars. This house is perfect for a quiet vacation. Consisting of one room, one bathroom, one living room with a terrace. 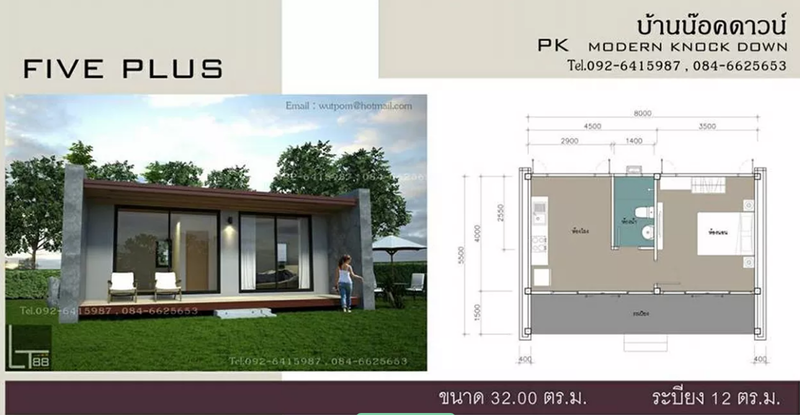 The price is 520,000 Baht or 15,600 US Dollars. Small but comfortable house consisting of two rooms, two bathrooms with a terrace. 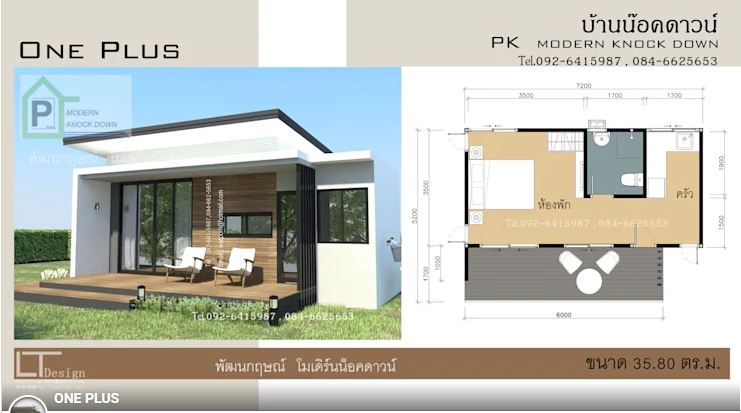 The total price for this house is 450,000 Baht or 13,500 US Dollars.